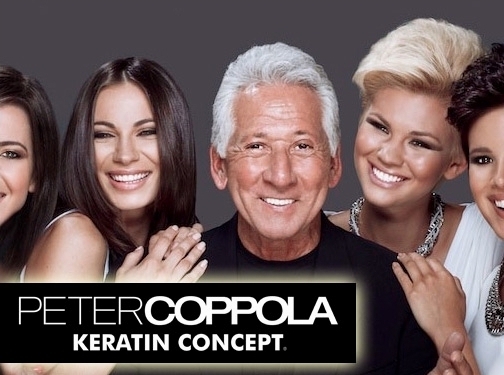 Peter Coppola's Keratin Concept Collection is the newest advancement in hair smoothing and includes products developed from Coppola's decades of experience in the hair care industry. Prior to developing the Coppola Keratin Concept Collection, Coppola created the original keratin treatment system, and his hair smoothing treatment products are legendary in the beauty industry. With the development of Coppola's newest formaldehyde-free keratin treatment products, the Keratin Concept Collection, his impact on the hair care industry is sure to be truly inspiring. The new Peter Coppola Keratin Concept hair smoothing treatment system includes a proprietary formula that combines ceramides, which provide anti-aging benefits, with the hair smoothing properties of keratin. Product collections include the Blondest Line and Legacy Line, with products ranging from shampoo and conditioner, to hair masks, anti-frizz creams, full volume styling creams, high definition gloss and argan oil polish. US (Florida) based business - established in 1974, and with 34 branches open throughout the US - providing hair care products and treatments. Website includes details of treatments provided, e-commerce facilities (for products), FAQs, work examples, FAQs, videos, press mentions, news section, strong online social signals, full company contact details.